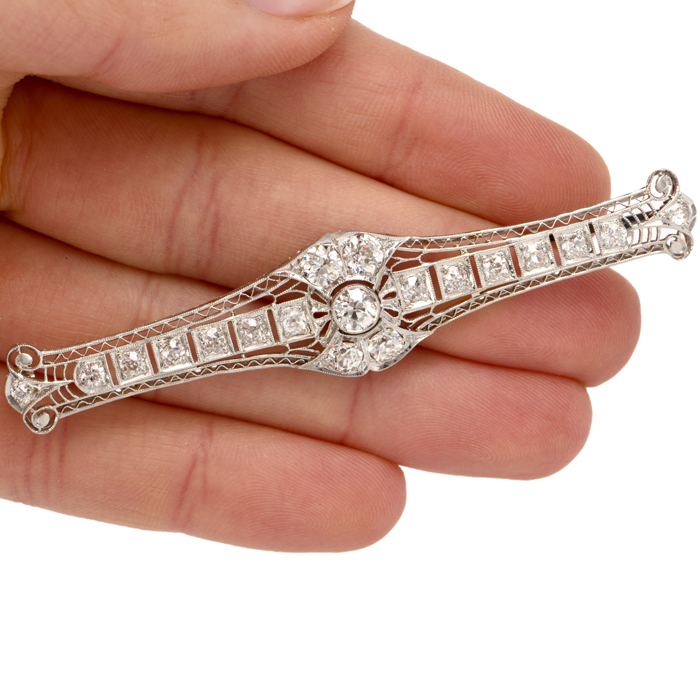 If you’re seeking brooches that date from the earlier part of 20th century, you may find many fine pieces that include trombone clasps. 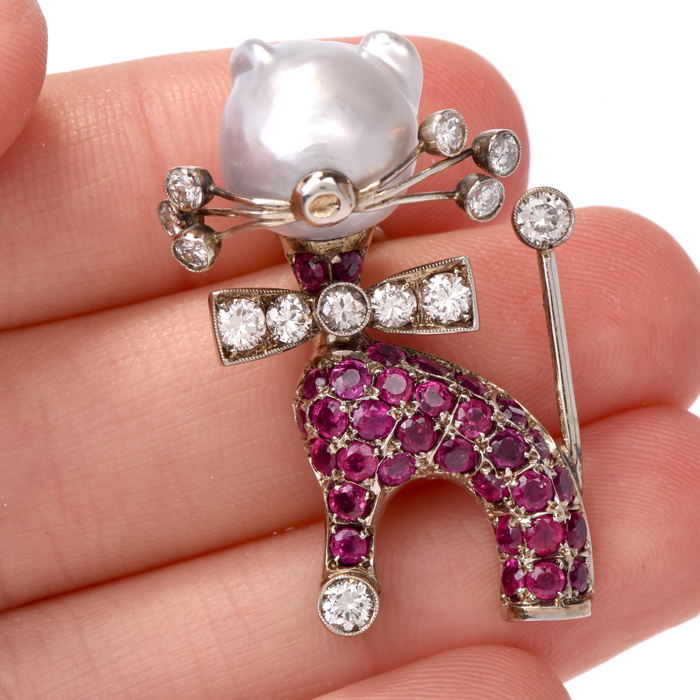 A trombone clasp pin has a needled pin on the back, just like the T-bar and C clasp pins. 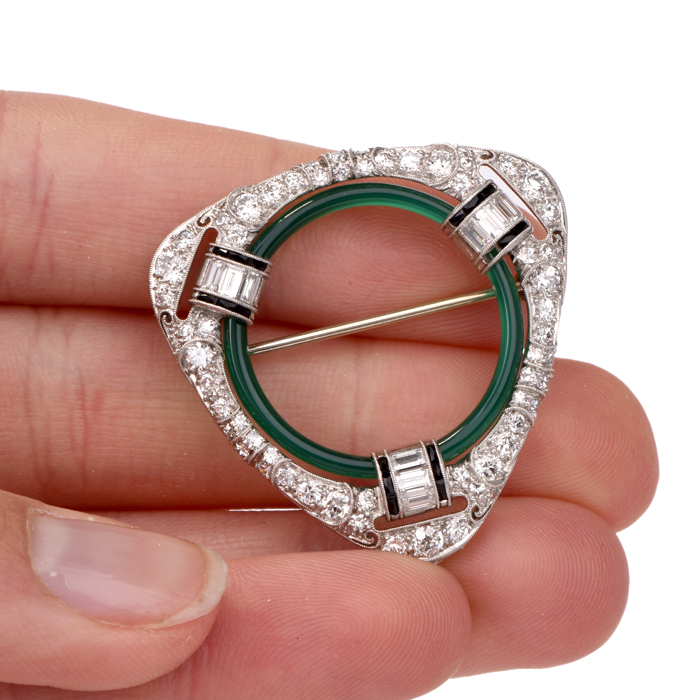 However, the “trombone” moniker comes from the tube that covers, protects and secures the tip of the needle after the brooch has been attached to the garment. 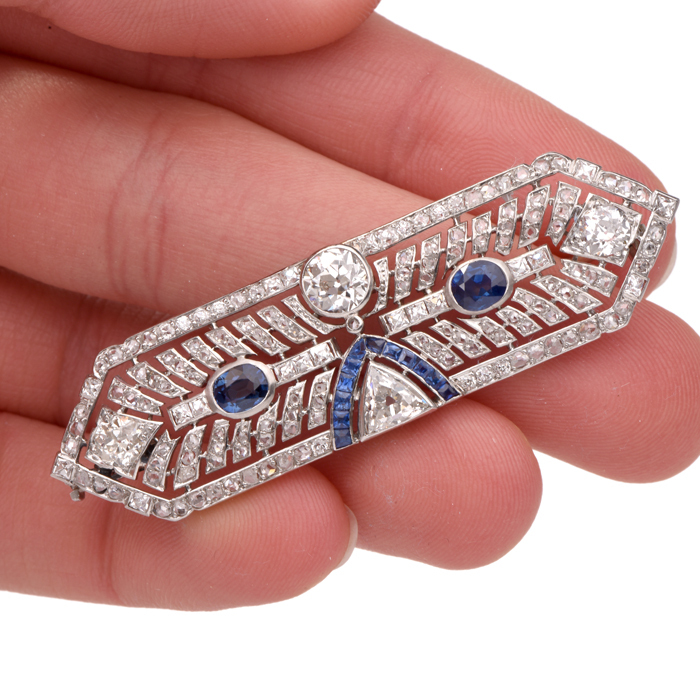 Vintage trombone clasps were very popular in Art Deco and Arts and Crafts jewelry designing periods. 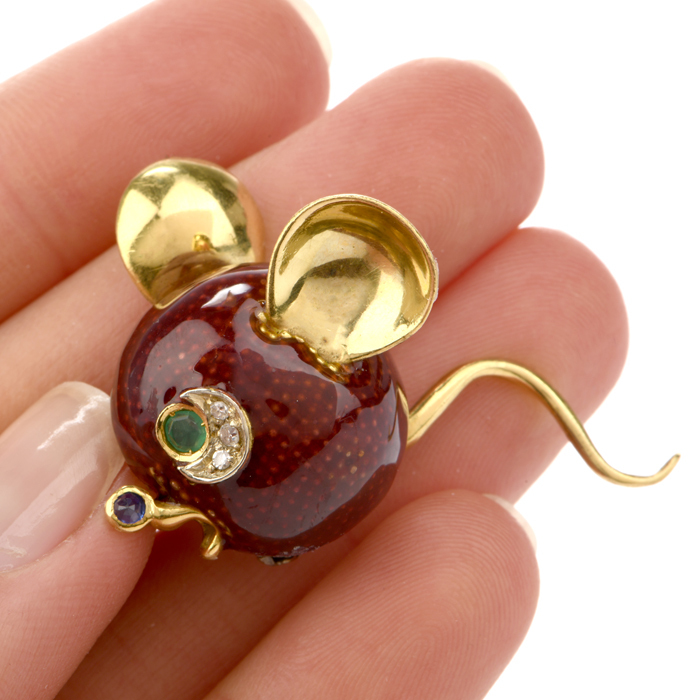 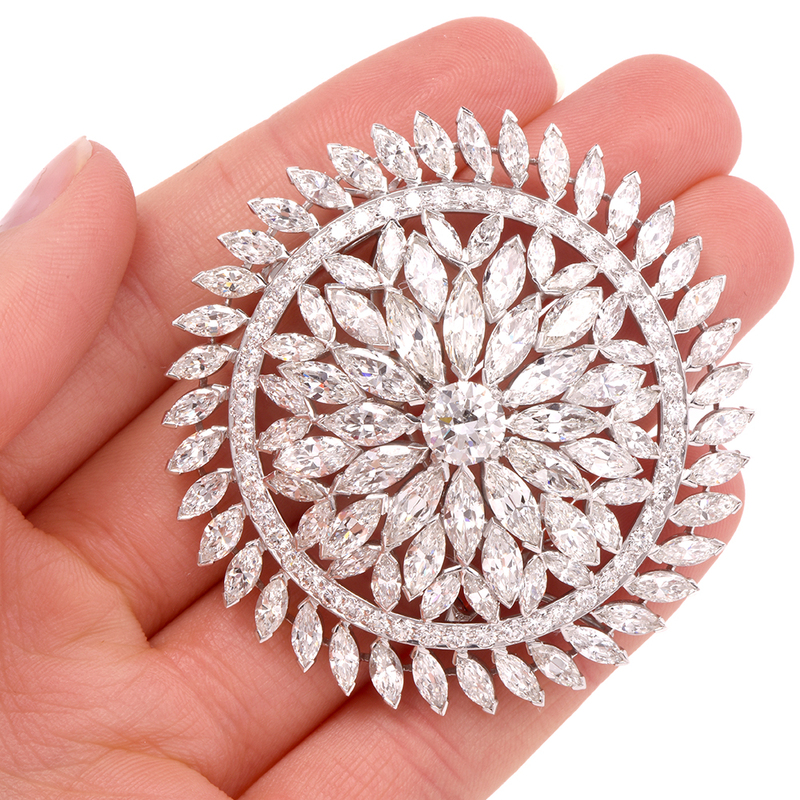 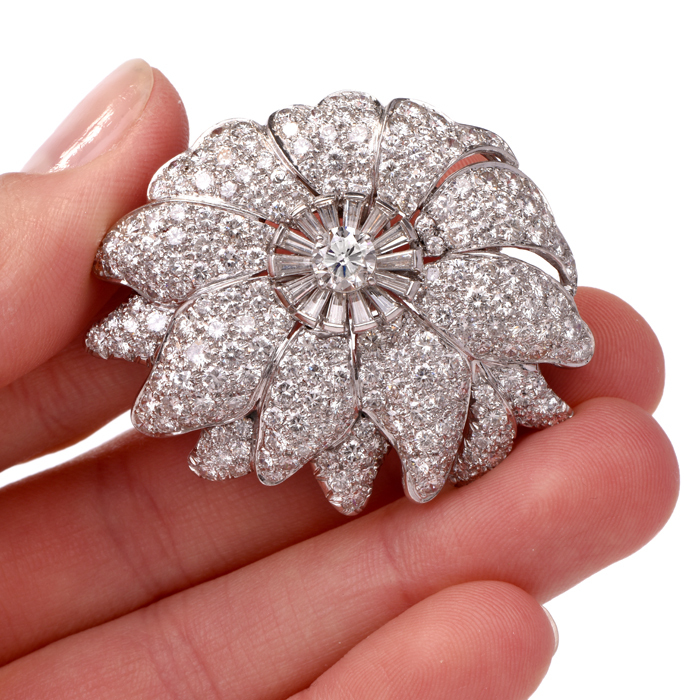 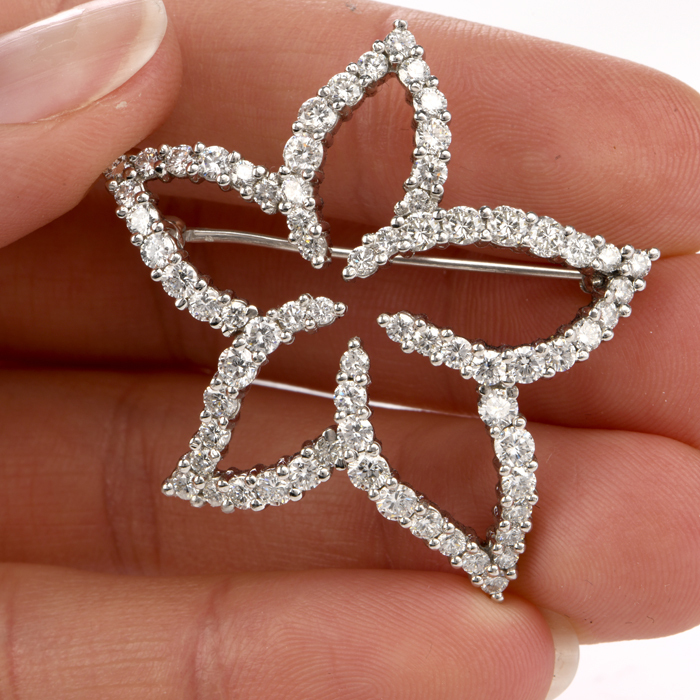 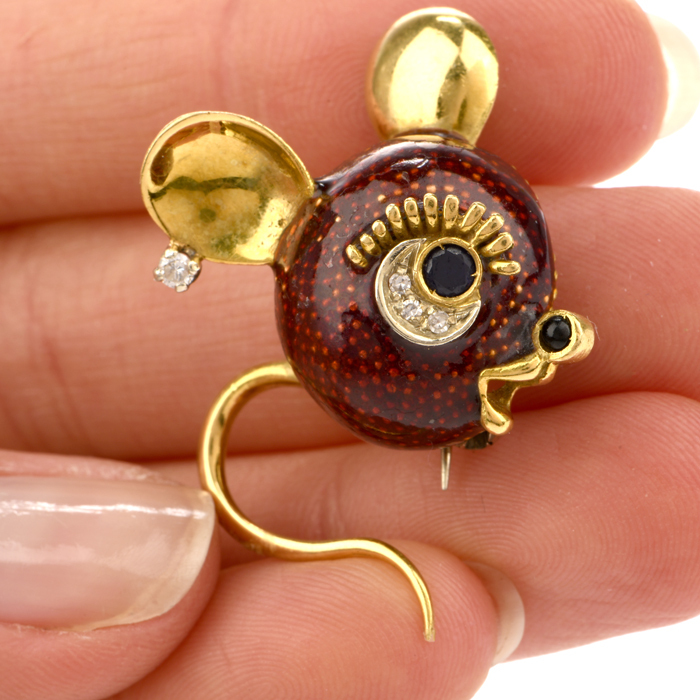 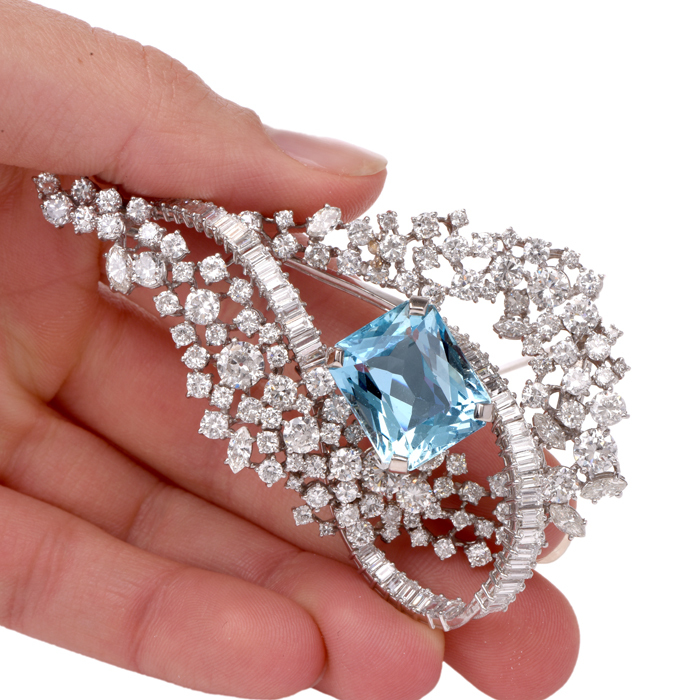 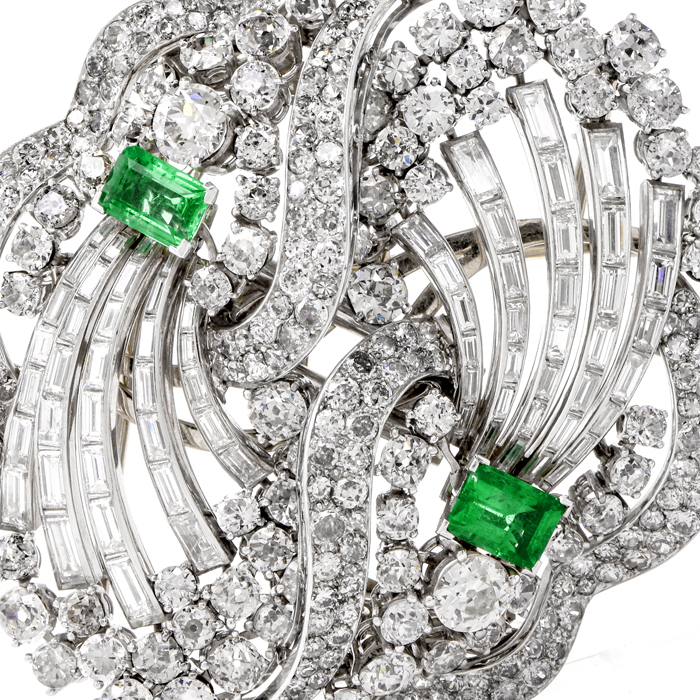 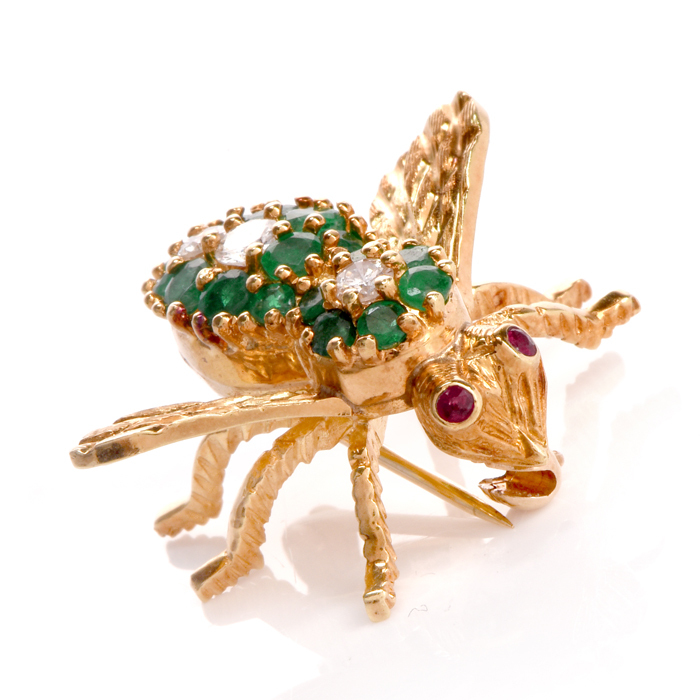 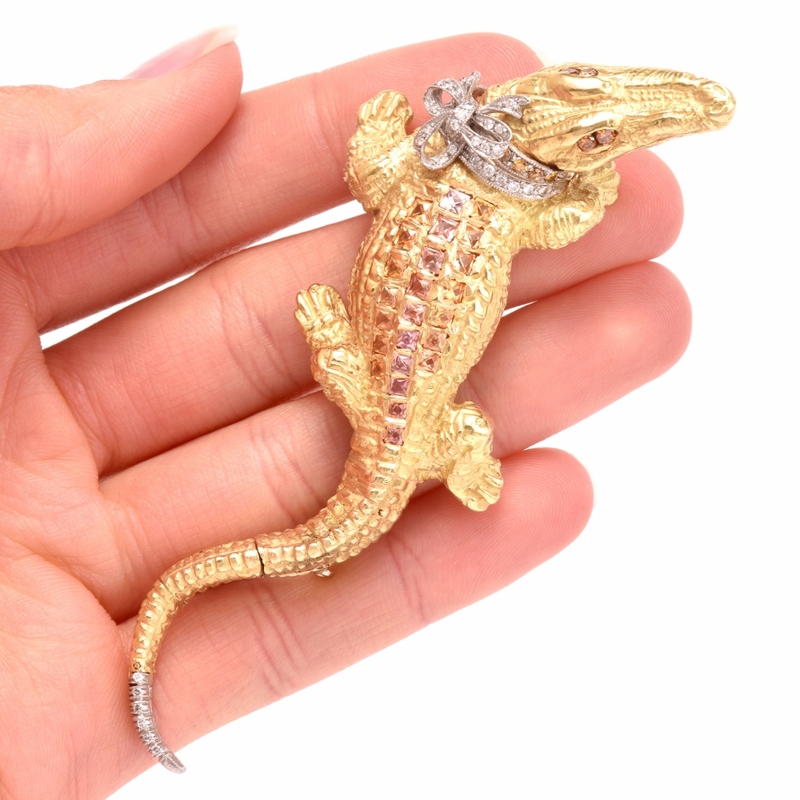 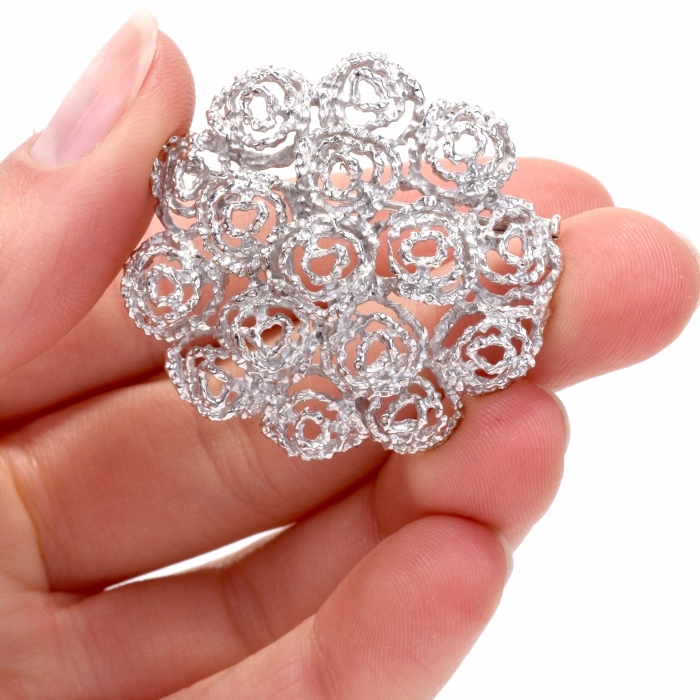 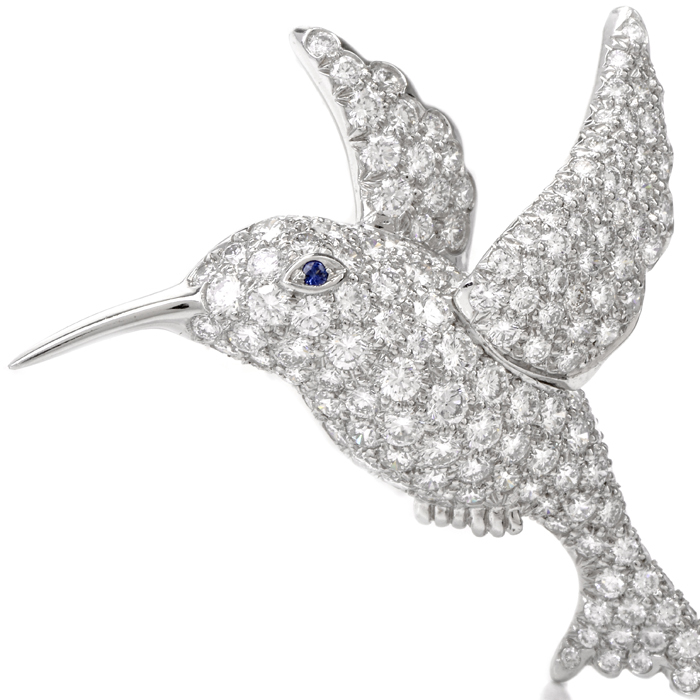 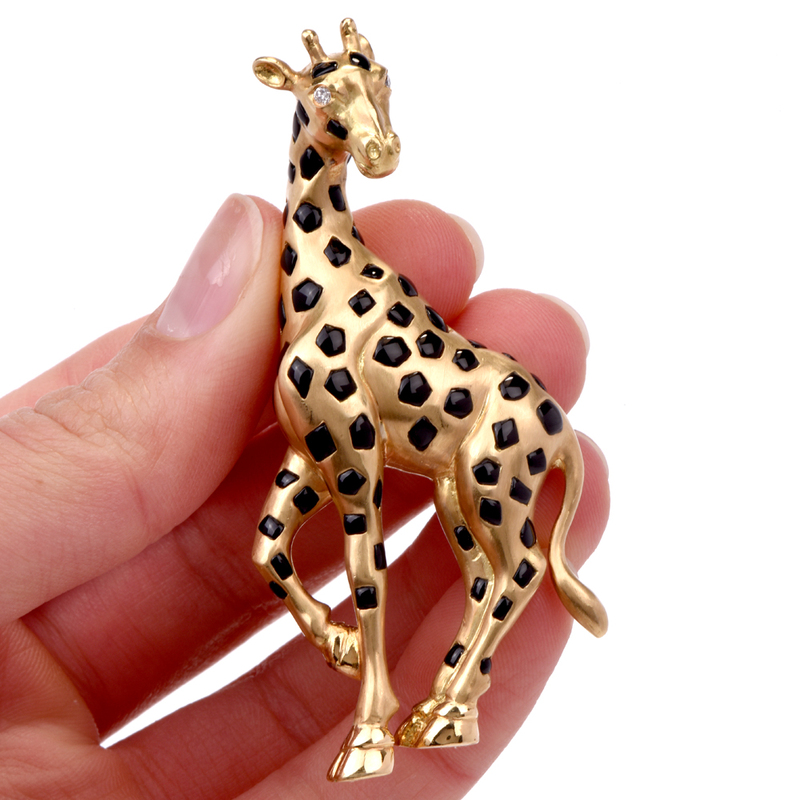 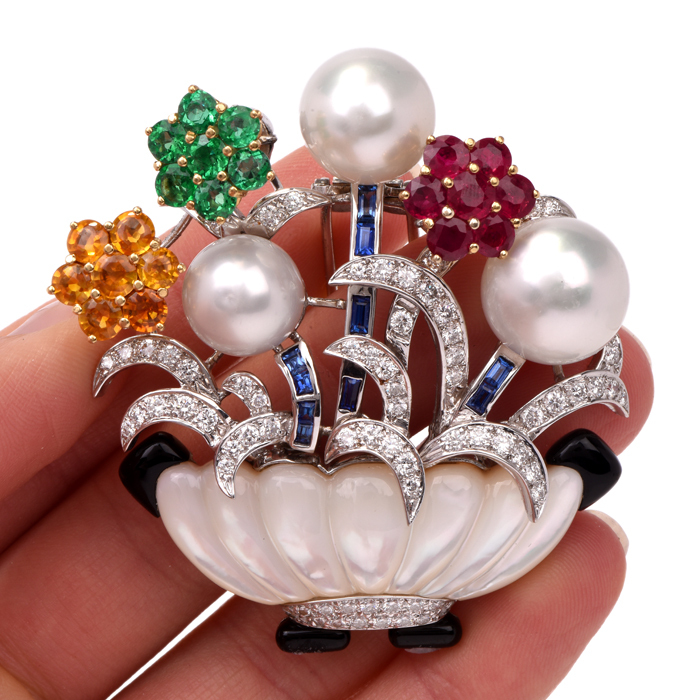 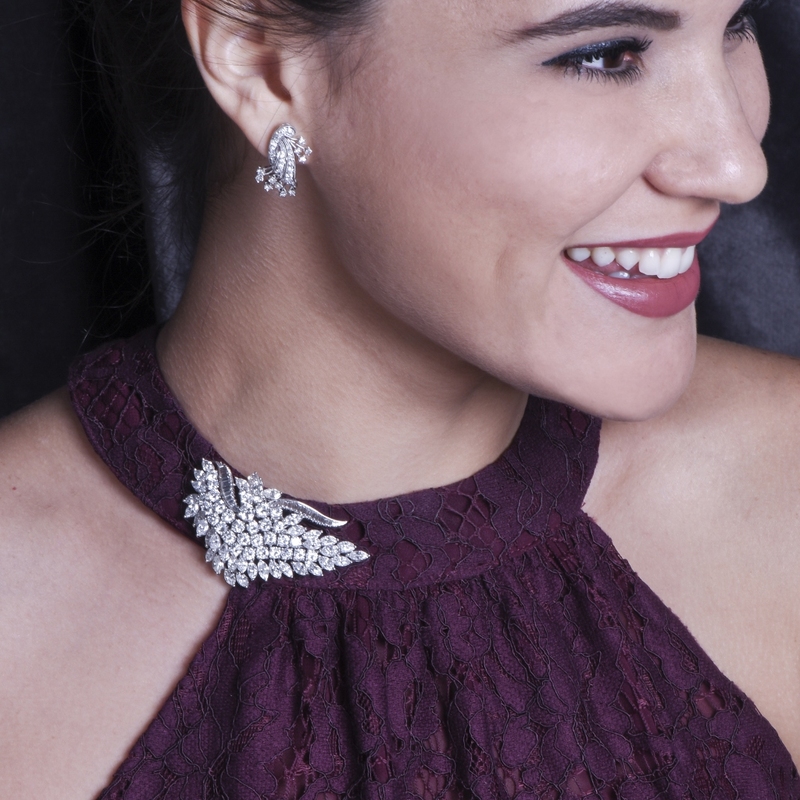 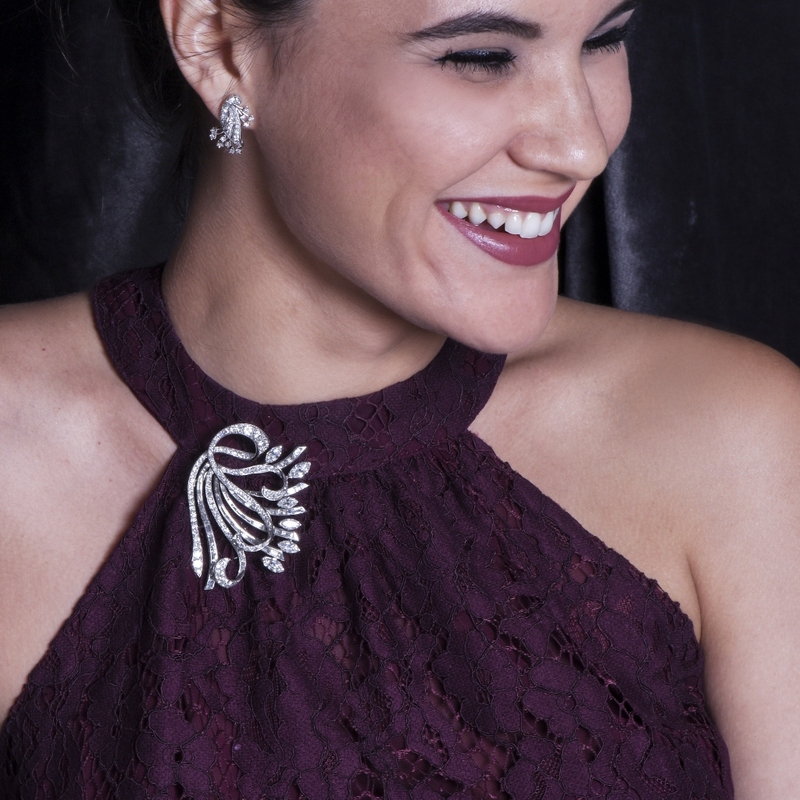 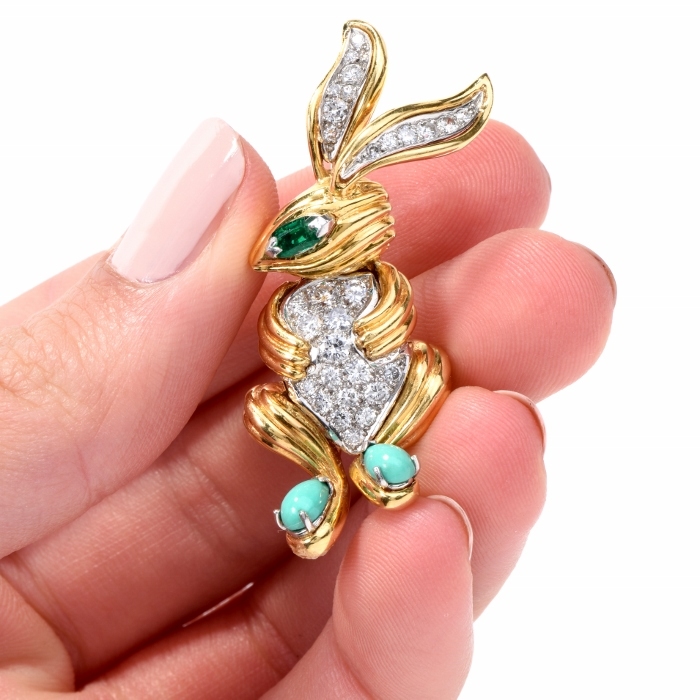 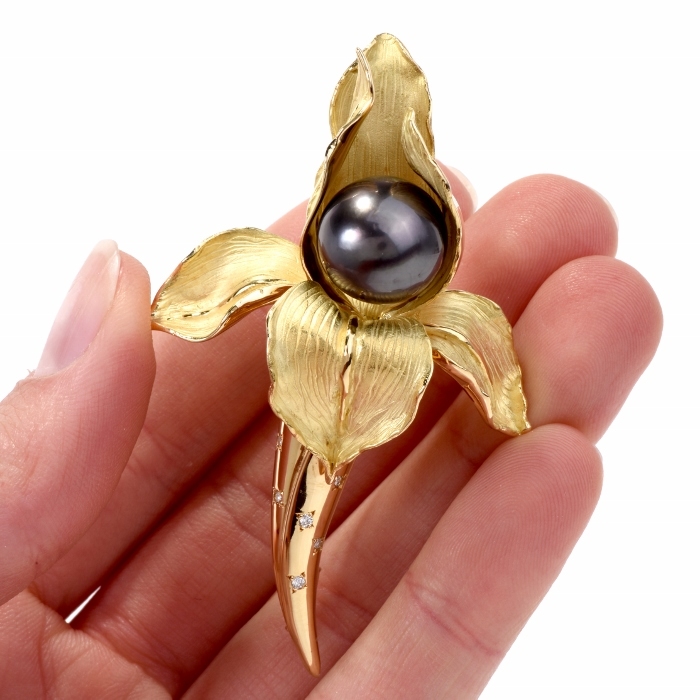 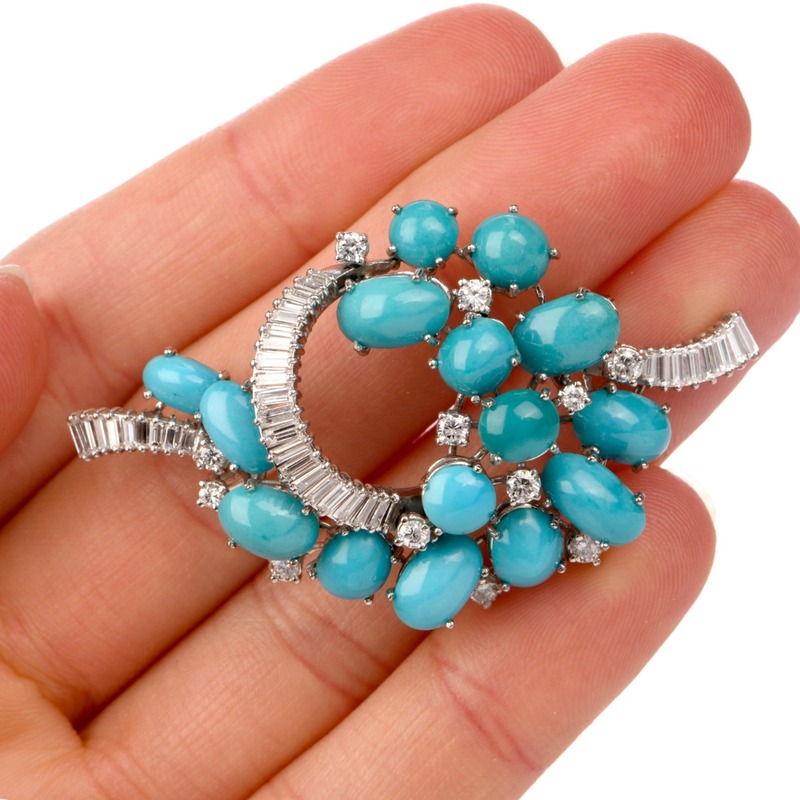 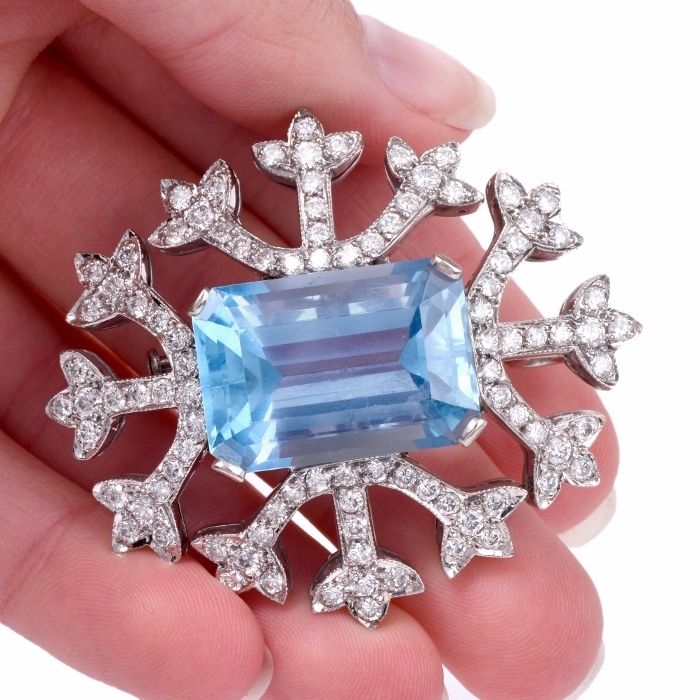 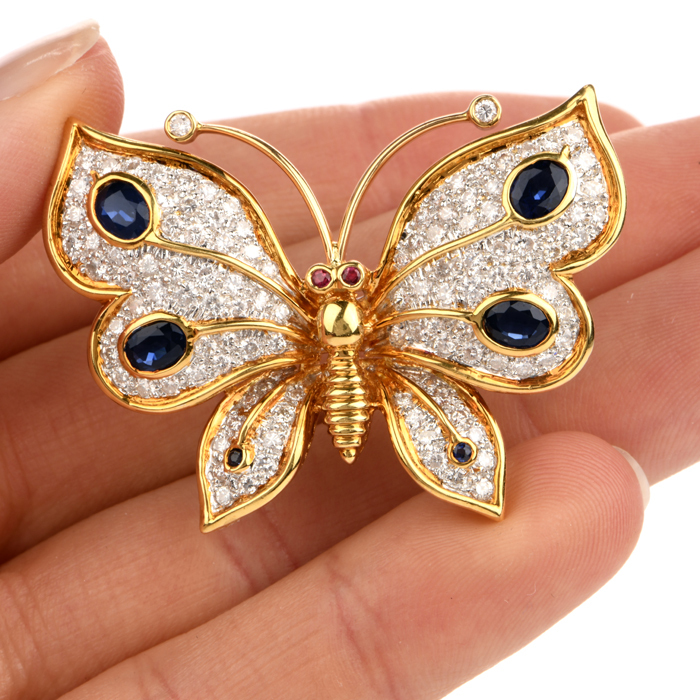 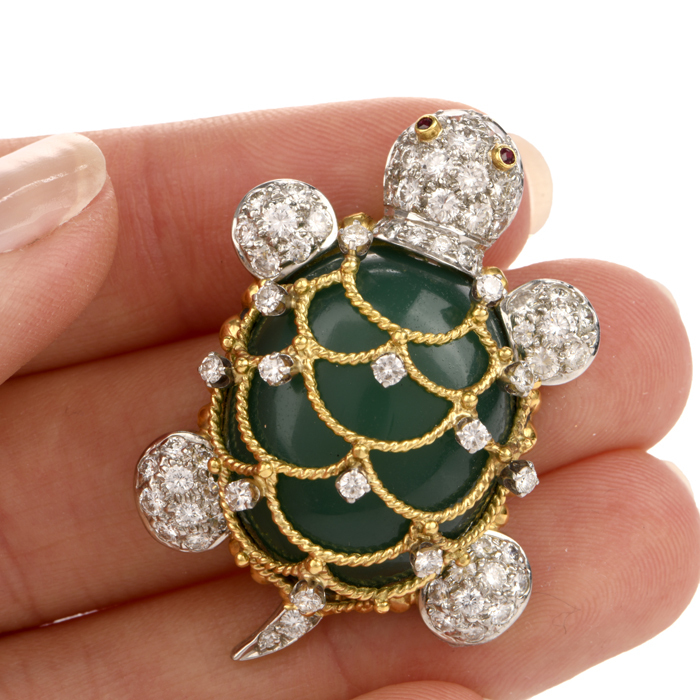 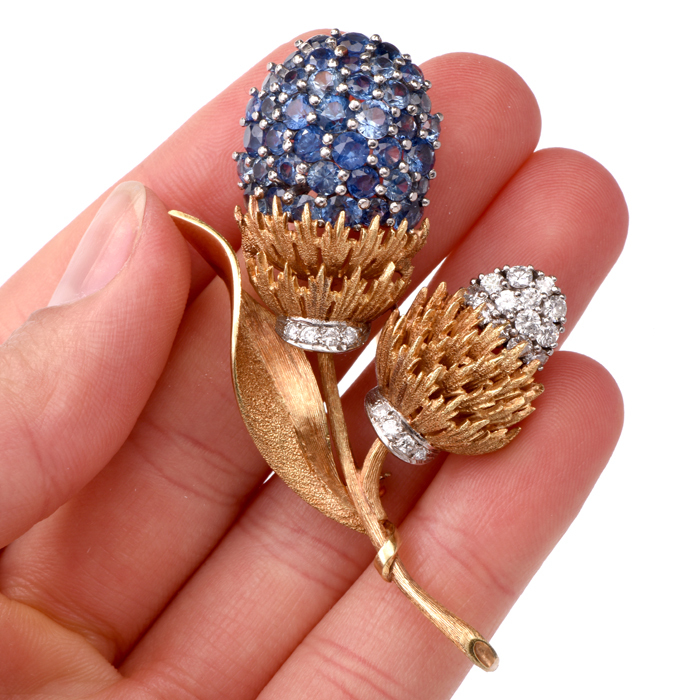 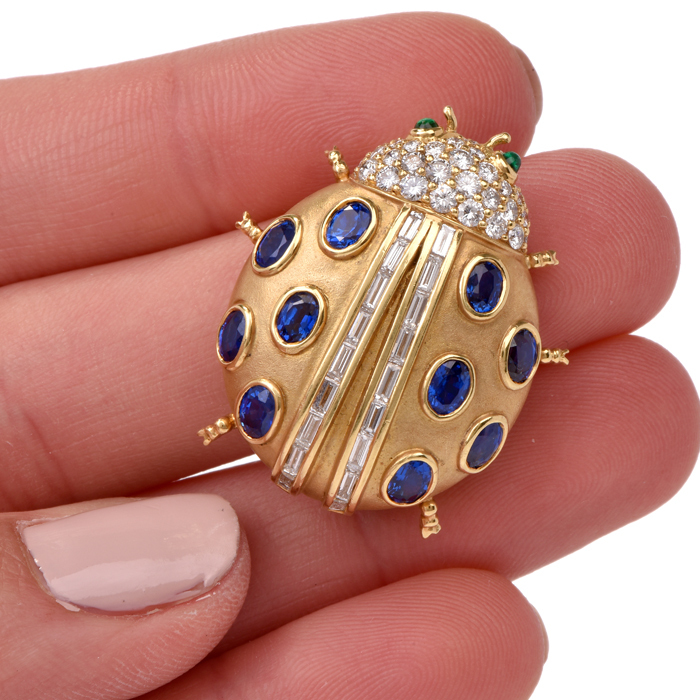 To maintain the high quality of Dover Jewelry’s gallery of vintage and antique brooches featuring diamonds, gold, platinum and gemstones, we thoroughly evaluate all the brooches that come into our showroom for authenticity and craftsmanship. 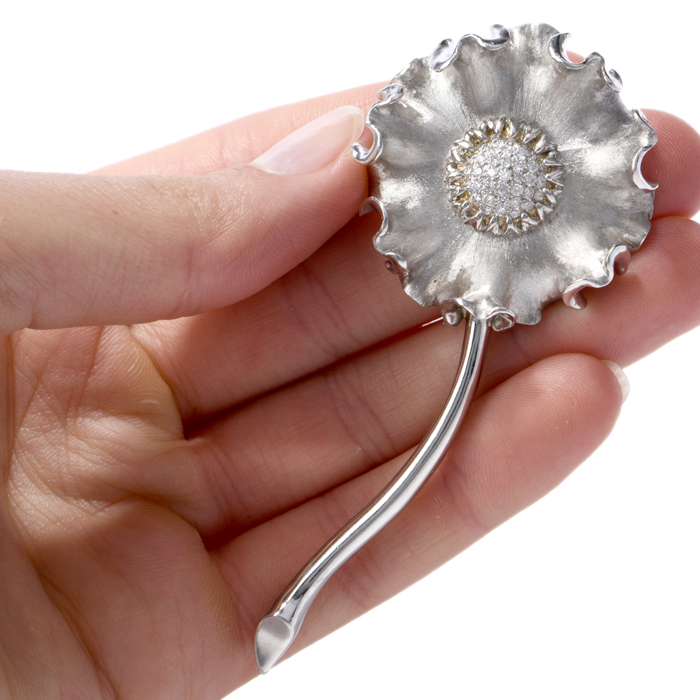 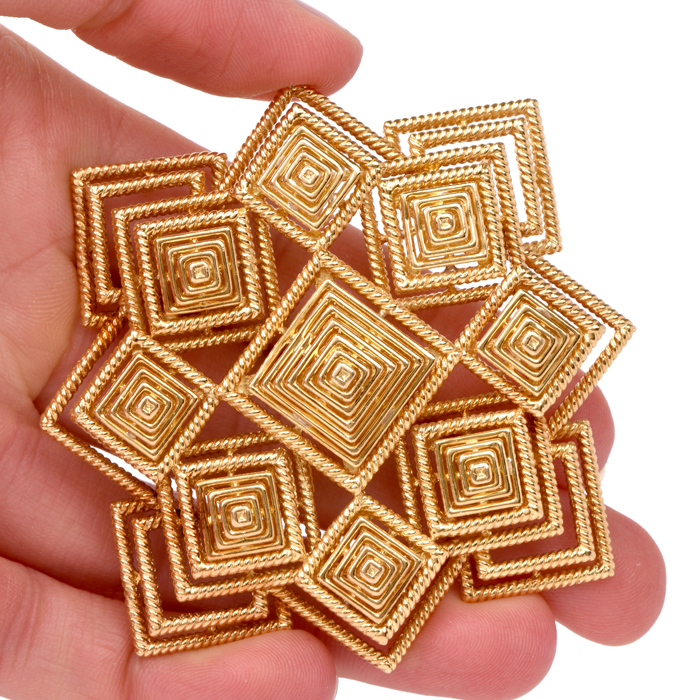 The T-bar style of pin is still used in modern brooch creations. 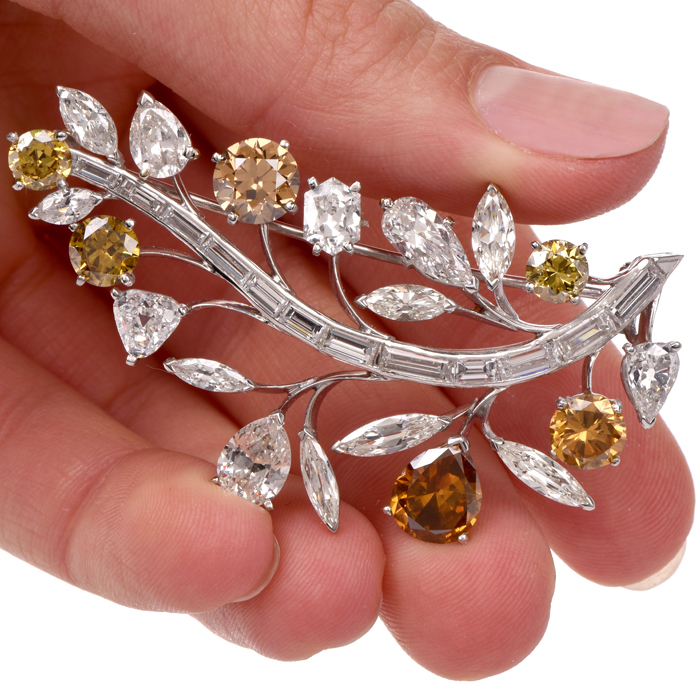 At the back of the brooch, the T-bar pin lies parallel with the body of the brooch, but it can be moved out of place thanks to a handy hinge. 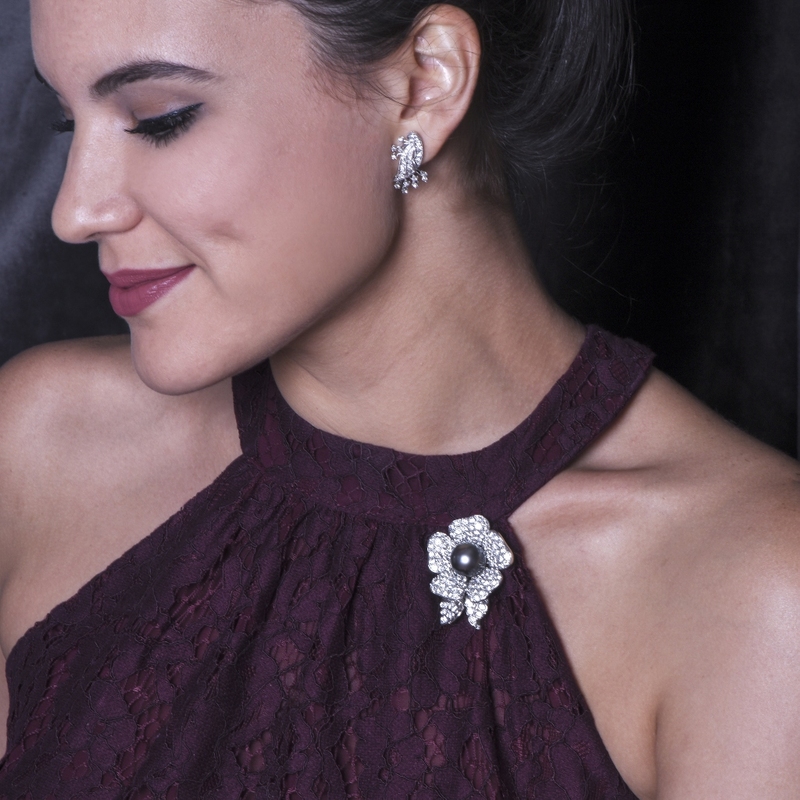 After the T-bar is attached to a piece of clothing or accessory item, it is closed securely — using the hinge to flatten it to its parallel state — to keep the brooch firmly against the garment and the tip of the pin hidden. 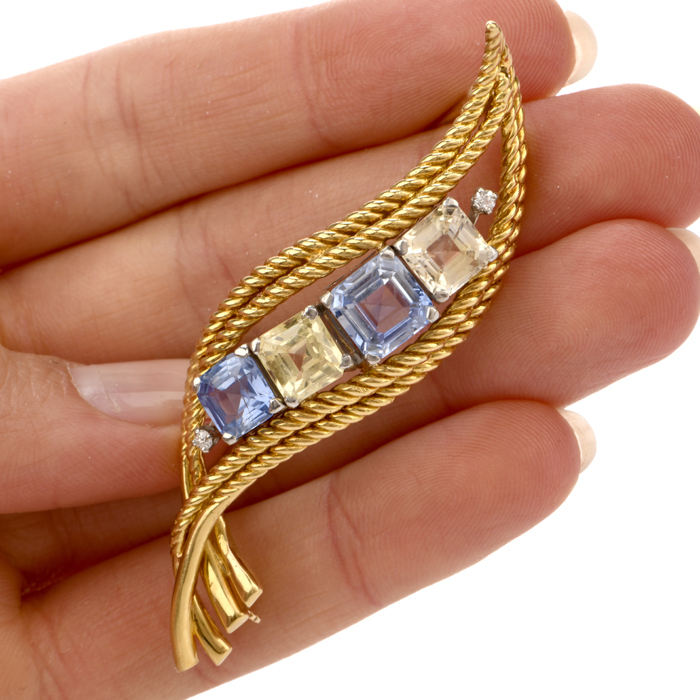 Another type of brooch features a C clasp. 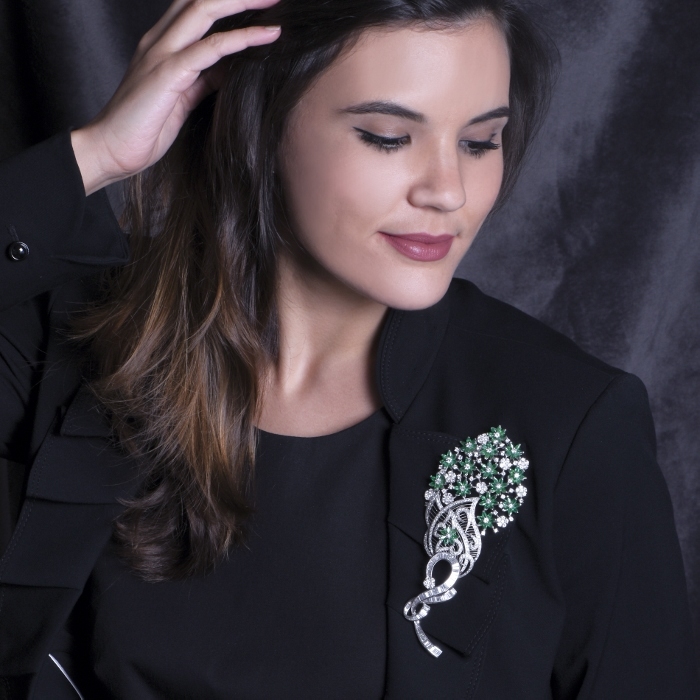 Like the T-bar brooch, the C clasp brooch has a long pin that fastens the brooch to fabric. 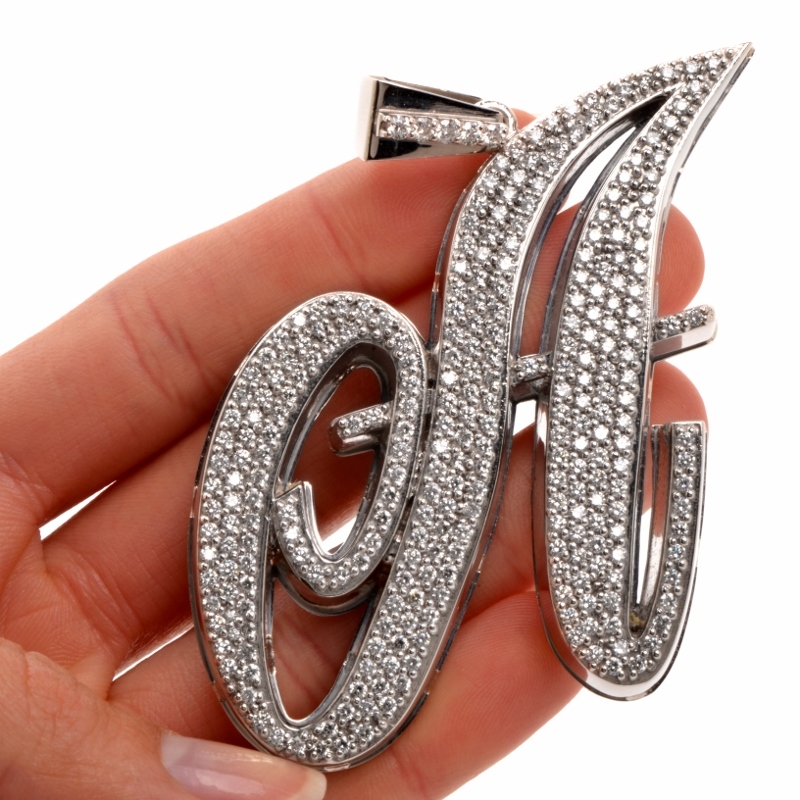 To provide closure and hold the brooch in place, a clasp is added that looks like the letter “C.” The pin is bent to fit snugly into the nook of the C clasp, securing it. 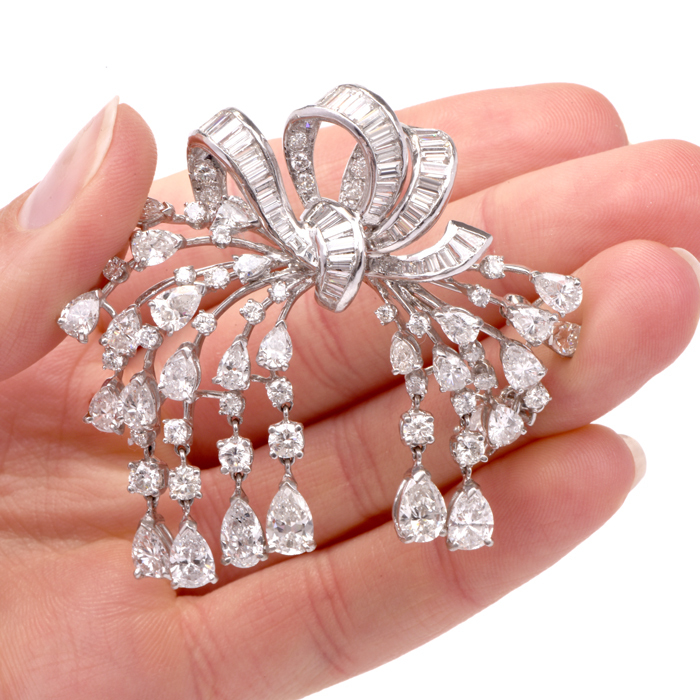 Vintage brooches from the Victorian and Edwardian eras — about the mid-1800s to the early 1900s — are most likely to use C clasps. 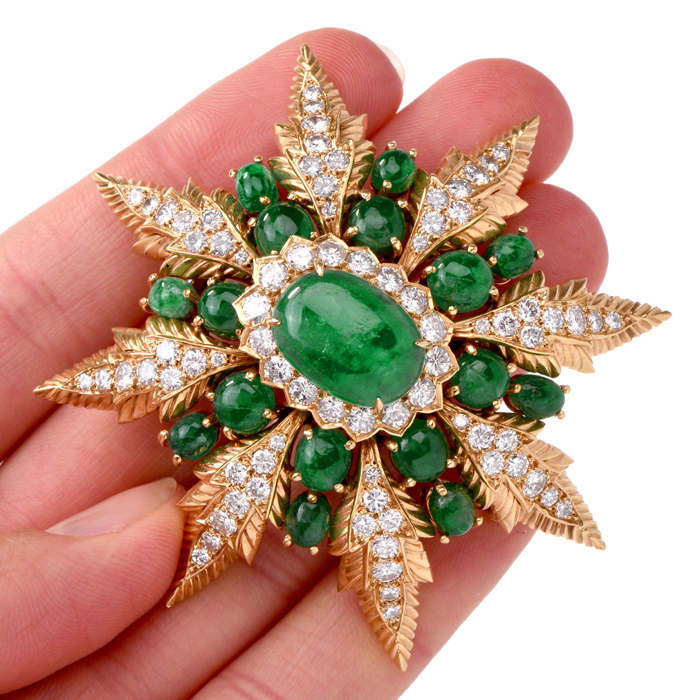 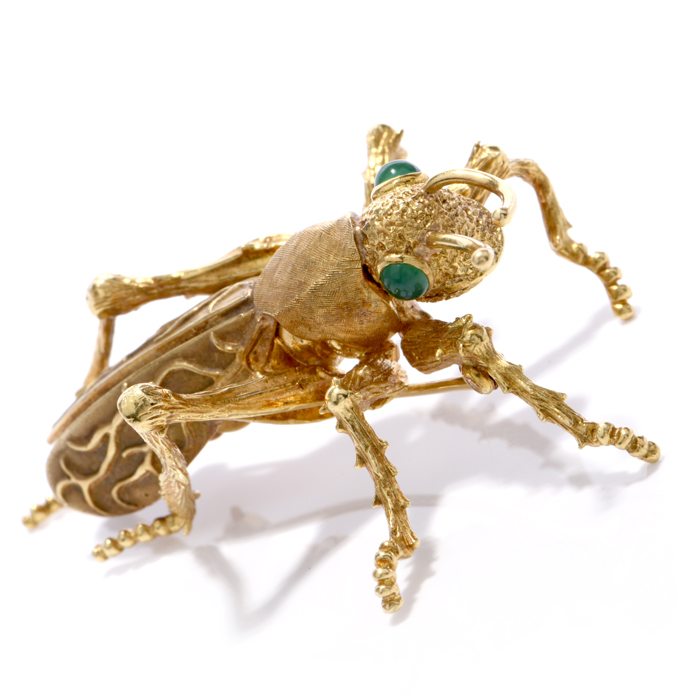 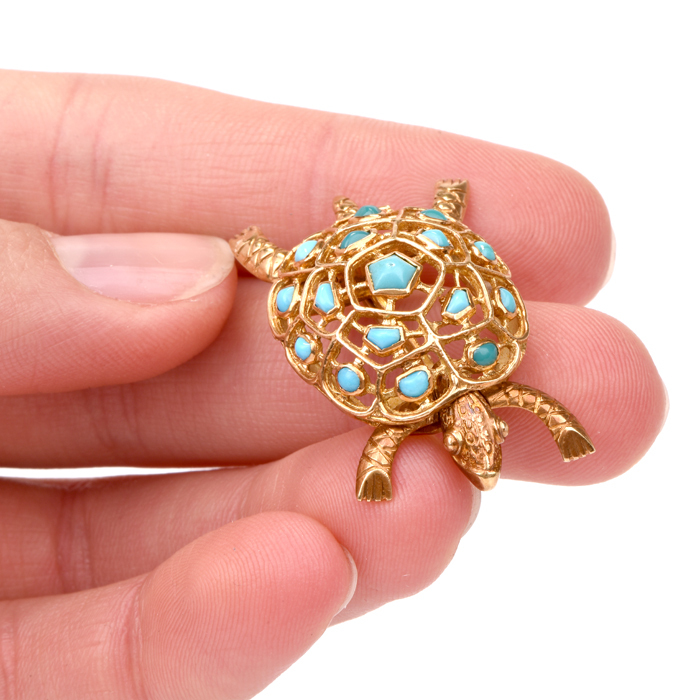 Dover Jewelry sees and sells many estate gold C clasp pins from this period.